Gallery of shots taken in June. 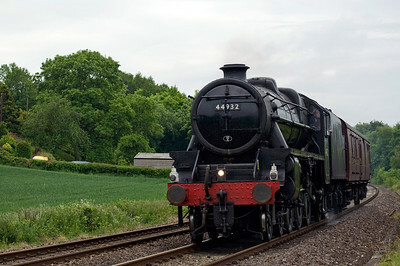 Mostly on the marches and including a couple of steam light engine moves, namely A4 60009 and Black 5 44935. The 09:36 London Paddington to Cheltenham Spa service heads north at Haresfield as the 05:07 Robeston Sdgs to Westerleigh Murco Tanks pulls into the loop. Seen here on the 26th of June 2013. 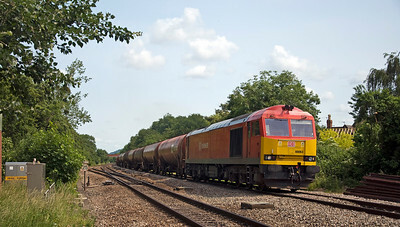 60063 approaches Haresfield loop with the 0507 Robeston Sdgs to Westerleigh Murco Tanks, seen here on the 26th of June 2013. 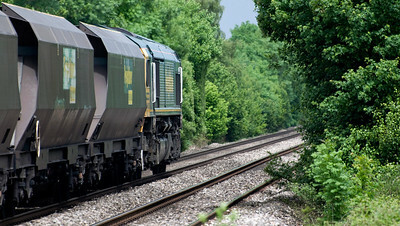 66304 heads south at Highnam bridge with the 0823 Daventry to Wentloog tesco intermodal on the 26th of June 2013. I've photoshopped some power lines out of this shot. 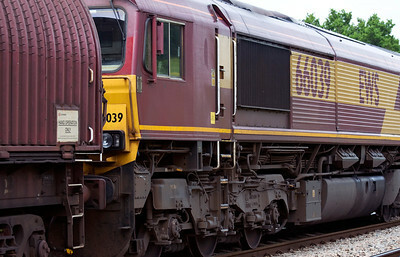 Close ish shot of 66039. 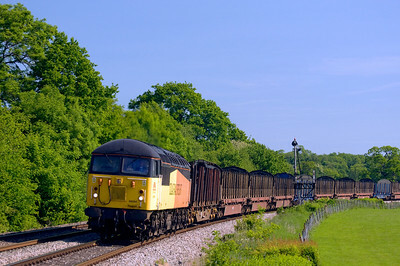 66039 waits in the loop at Pontrilas with the 09:23 Margam T.C. to Dee Marsh Recp. 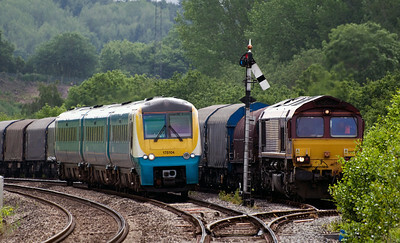 Sdgs whilst 175104 passes with the 11:10 Milford Haven to Manchester Piccadilly service. Seen here on the 17th of june 2013. 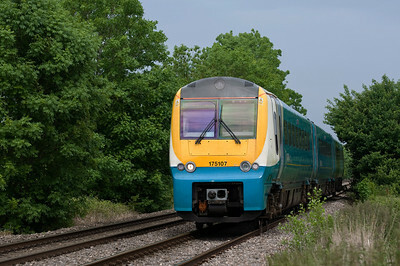 175116 with the 12:30 Manchester Piccadilly to Milford Haven service, seen here just north of Pontrilas on the 17th of June 2013. 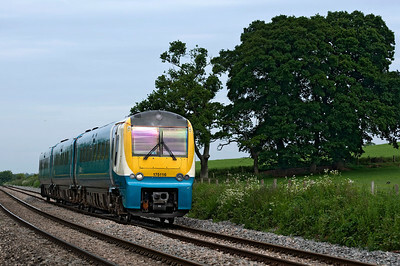 175008 with the 13:21 Cardiff Central to Holyhead service, seen here at Howton on the 17th of June 2013. 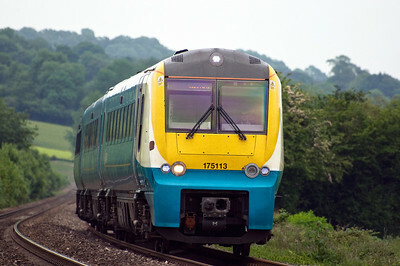 175007 with the 10:40 Holyhead to Cardiff Central service, seen here at Howton on the 17th of June 2013. Not normally a fan of going away shots but quite liked this one of 66620 with the 10:50 Portbury Coal Terminal Fhh to Rugeley B Power Stn. 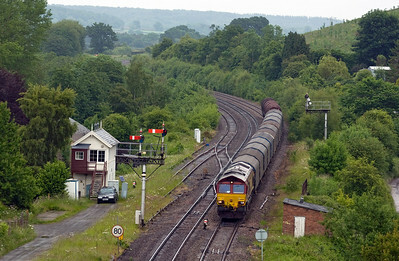 Seen here at Howton on the 17th of June 2013. 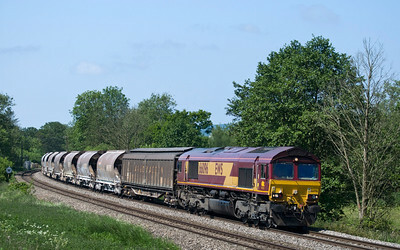 66620 running an hour late with the 10:50 Portbury Coal Terminal Fhh to Rugeley B Power Stn. 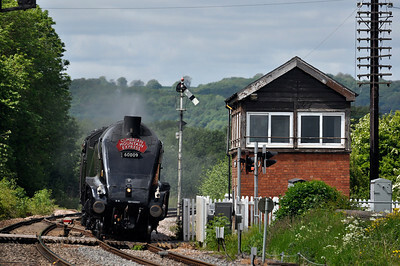 Seen here at Howton on the 17th of June 2013. 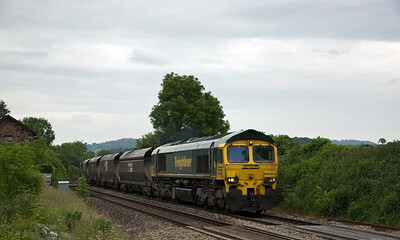 66093 with 6V75 the 09:30 Dee Marsh Recp. Sdgs to Margam T.C. 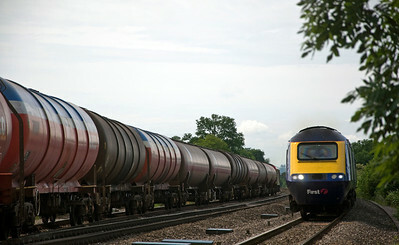 Seen here passing Pontrilas on the 17th of June 2013. 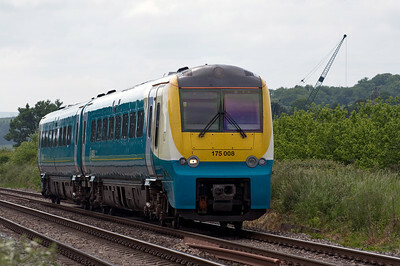 175101 with the 08:05 Holyhead to Cardiff Central service, seen here at Powells Crossing on the 17th of June 2013. 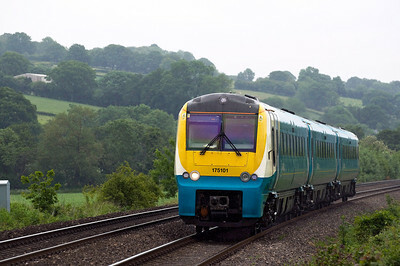 175113 with the 09:30 Manchester Piccadilly to Carmarthen service, seen here at Powells Crossing on the 17th of June 2013. 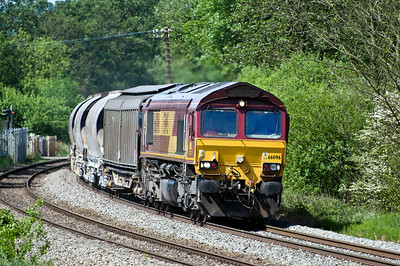 66518 with a 09:07 Crewe Bas Hall S.S.M. to Newport Docks run. Seen here on the 17th of June 2013 at Powells Crossing. Another shot of 66523, this time at Powells Crossing. 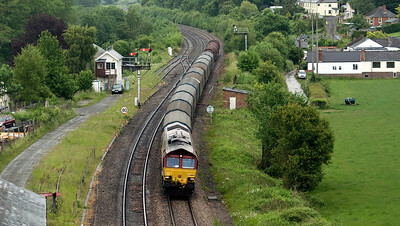 Still running over 130mins late with 6M55 the 07:00 Portbury Coal Terminal to Rugeley B Power Stn. Seen here on the 17th of June 2013. 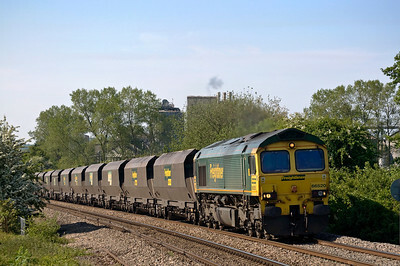 66523 running 131mins late with 6M55 the 07:00 Portbury Coal Terminal to Rugeley B Power Stn. 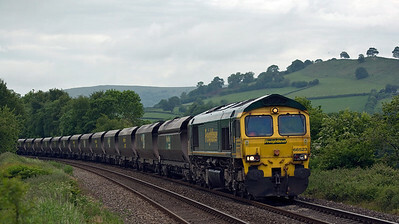 Seen here at Penpergwm on the 17th of June 2013. 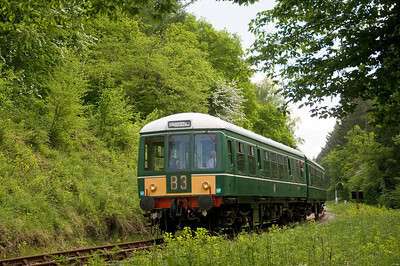 Dean Forest Railway's Class 108 DMU arriving at Parkend which is just round the corner. seen here on the 9th of June 2013. 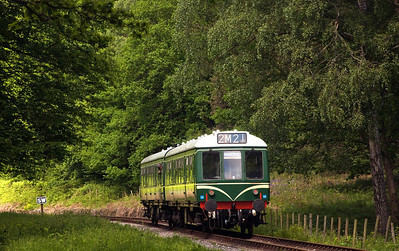 Dean Forest Railway's Class 108 DMU between Whitecroft and Parkend on the 9th of June 2013. 57316 leads empty Northern Belle stock forming 5Z89 13:39 Pengam Sidings to Carnforth Steamtown. 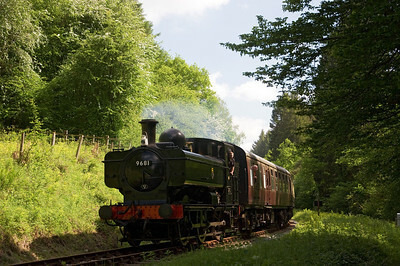 57315 is bringing up the rear. 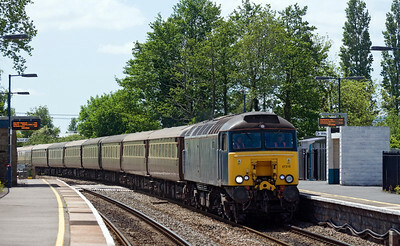 Seen here at Lydney station on the 9th June 2013. Bit disappointed to find the signal box gone. 66096 with the 04:00 Exeter Riverside N.Y. to Bescot Down Side clay. Normally this service would go via the marches but was diverted due to engineering works. 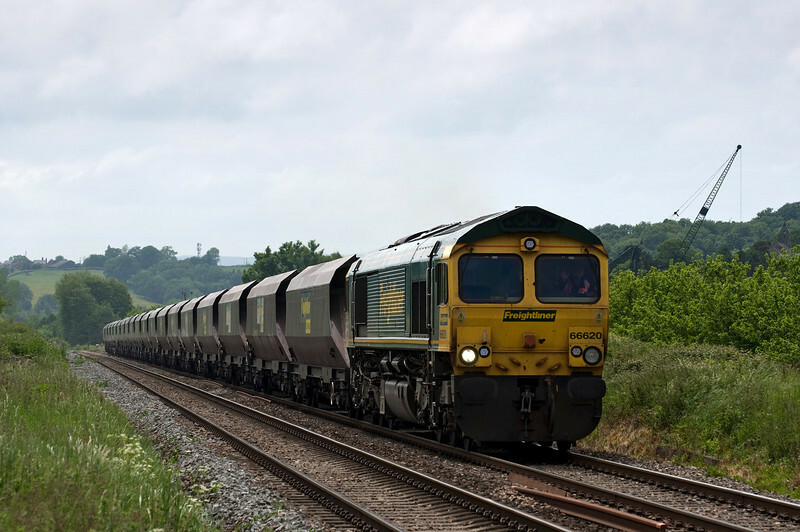 Seen here just north of Naas Lane crossing on the 9th of june 2013. 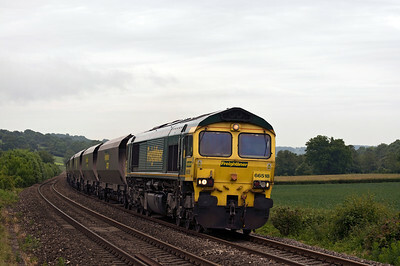 66520 with the 07:00 Portbury to Rugeley B Power Stn. Seen here just north of tram Inn on the 7th of June 2013. 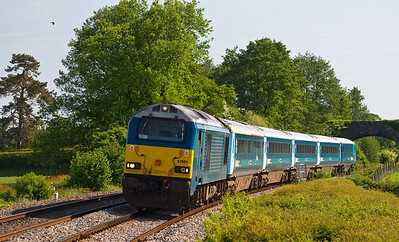 56094 with the 07:13 Chirk to Baglan Bay empty logs. Seen here just north of tram Inn on the 7th of June 2013. 67001 with the 1V31 05:33 Holyhead to Cardiff Central service running a few minutes late. Seen here just north of Tram Inn on the 7th of June 2013. 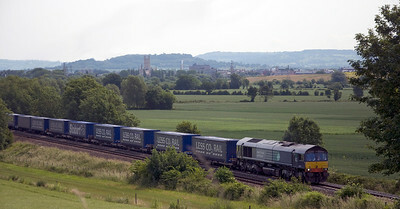 A4 60009 "Union of South Africa" and it's support coach with 5Z96 Carnforth - Bristol St Phillips Marsh on the 1st of June . 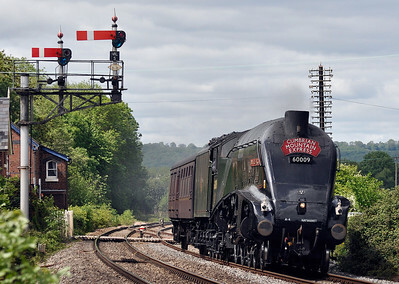 The next day it was due to work the "Royal Duchy" railour from Bristol TM - Par but was failed at Hereford and returned to crewe for repair.